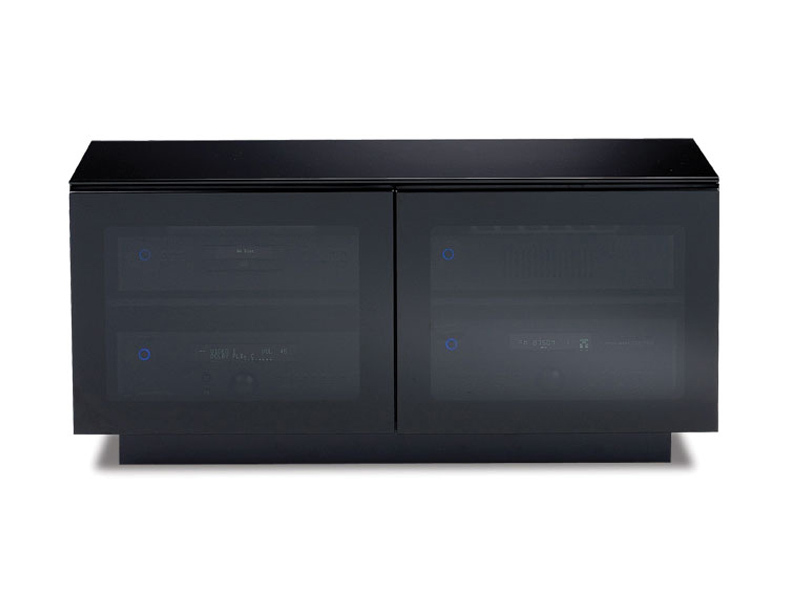 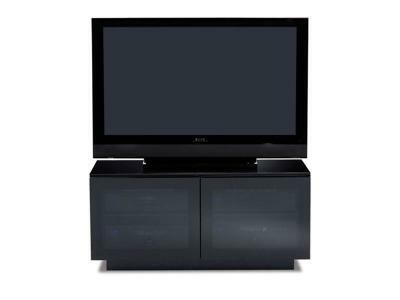 The MIRAGE collection‘s gloss black finish beautifully complements today‘s home theater components. 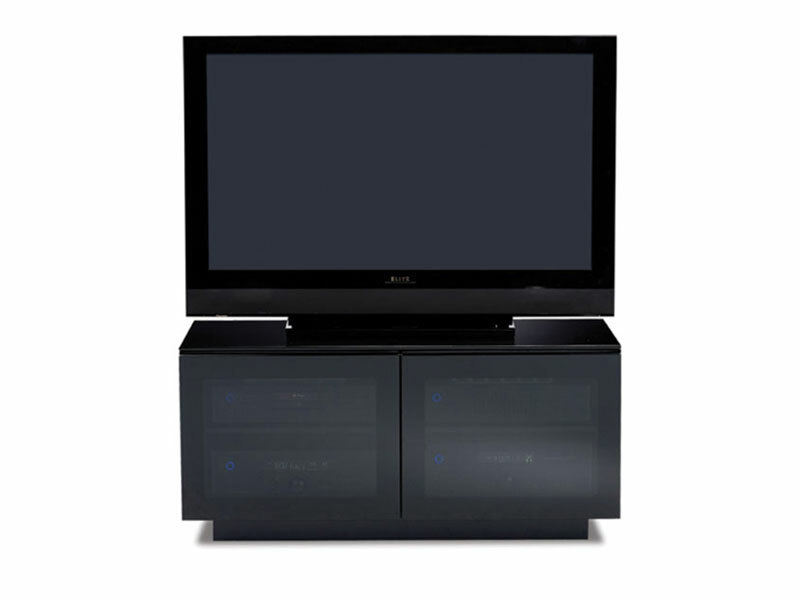 Grey tinted glass doors conceal components, yet keep them IR-remote accessible. 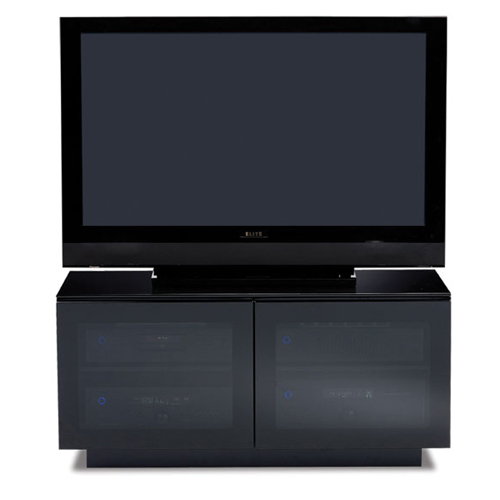 Integrated features such as adjustable, ventilated shelves, cable management, and hidden wheels are engineered to provide the ultimate in function and style.